Southern Counties Lift Services install goods lifts suitable for almost all low rise buildings where goods are moved floor to floor in a lift. 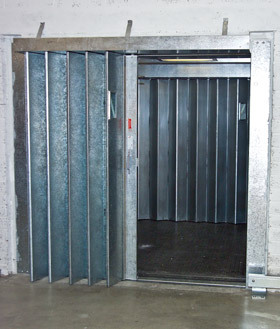 Ideal for moving large, bulky items and palletised stock, our range of goods lifts are both reliable and robust, they are also produced to EN81 requirements and perfectly suited for mixed passenger and goods usage. Our experienced Project Managers can help with choosing the best drive option for the lift capacity and building type from a range of hydraulic or traction drive systems, including machine-room-less for either drive platform.